Due to my surprise at the inability to find information about this house, I will reference the website from which I purchased my sample, Perfumed Court. According to these fine ladies, "Memoire Liquide is a new line of bespoke perfumes that launched earlier this year at Henri Bendel in New York and last year at Fred Segal. The line was developed by Robin Coe-Hutshing and her sister Jennifer Coe." Always one to seek out what is new and trendy in the perfume marketplace, I thought the line sounded interesting enough to give a few of their scents a spin. I am glad I tried this one. Voleur is described by the above referenced website as "the scent of amber, luxuriously smoothed and mellowed with white musk and honey." Sometimes amber mixes well with my skin, especially if it is sweetened or softened with notes like musk or fruit. One of my favorite examples of a beautiful amber scent is Hilary Duff's With Love. I usually am not a fan of celebrity fragrances but this one defied all of my preconceived notions. I love the longevity, the sweetness meets spice and the cashmere wrap warmth of it. I was hoping to find something similar in this obscure yet intriguing offering from Memoire Liquide. Upon first spritz, I am delighted at the fruity-sweet and obvious honey note. It dominates for a full five minutes, giving way to a milkier not quite creamy accord. In this case, musk is very white and light, serving only to augment the combination. 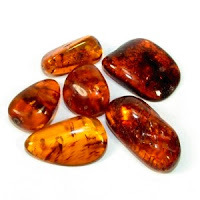 The disappointment lies in the less than full-bodied development of amber. Unfortunately the scent progresses into that milky combination, only vaguely suggesting musk and amber before it disappears from my skin completely. What a shame, since it is an eau de parfum formulation. This is one scent that I imagine may best be worn by women who have lots of natural oil in their skin. For my ivory and dry skin, it is not ideal. Although I do appreciate the attempt to develop a scent based upon amber. In addition, my interest is piqued to try more from this new line. Memoire Liquide has quite an offering, including the ability at their display to test many different oils in combination with one another. I was not able to find a full bottle of Voleur online. Its obscurity makes Memoire Liquide all the more intriguing to me. Update: after trying this again today, Saturday, I did experience more development. First honey, followed by sweet smelling amber and finally a soft, white musk with little remnant of the previous notes. I know this description lacks artistry, but my experience of this scent today pleasantly surprised me. Memoire Liquide Voleur may be purchased at Fred Segal in Santa Monica, CA or Henri Bendel in New York City. The Memoire Liquide website is under construction.